It’s not very often that I write here about happenings in my ministry in the local church. Some might suggest that this is because I’m too concerned with general church concerns, and that my inattention to what’s going on at the Old Hickory UMC is a sign of my ineffectiveness as a pastor. But the fact is that I write a bunch about our church – it’s just located in difference places on the net, some on our church website, but quite a bit directed to the surrounding community via Facebook (ministry through Facebook is another post to come). However I want to share what we’re doing because it is I believe that it represents a time when God’s people are doing amazing things in their love for the children of our community. A quick word about our context. Our congregation is located in the middle of a historic village that was a company owned town up through the 1940’s. The church was built through the graces of DuPont, which maintained a large factory along the banks of the Cumberland River, and was an overwhelming presence up through the 1970’s. At the height of the congregation’s success, in which the church had close to a thousand members, DuPont employed over 5,000 employees. However, the presence of the company began to decline through the 80’s and ‘90’s to the point where DuPont and the company that purchased part of the operation now employ less than 500 employees, very few of whom live in the village. As DuPont’s fortunes went, so did the church’s, and like many United Methodist congregations it has been in numerical decline for many years. It’s a church with a hundred year old building in need of renewal, a aging population, and a sense that the end might be in sight. And yet, in the midst of the decline, they never lost their love for kids – even when they found themselves without any kids on Sunday mornings. Their commitment to ministry with children led them to start a weekly afterschool tutoring program in partnership with the local school which connects our church to some 25 kids each year. And this commitment to kids led the church to offer a one day a week Summer program for six weeks each summer for the children of our community (a population that includes a large number of kids labeled “at-risk” due to economic conditions). Last summer, our ladies placed a sign outside announcing the summer program. That was our only promotion – there were no mailings, flyers, or even much word of mouth, and yet when they opened the doors that first day they had 35 kids show up. During the course of last summer our church ministered to over 60 difference children from the community . . . and we were aware of many more who were unsupervised “latch-key” kids in the neighborhood who needed a place to hang out and connect with adults who loved them. This year we began thinking about how we might expand the program to reach more kids, as well as adding additional days. In the midst of that thinking I became aware of the large number of professional artists and musicians that are moving into our village. As a generation of DuPont retirees is dying off and/or moving out of the village, a new generation of young, creative adults is moving into these cottages. Home prices in the area are cheap, which helps, but more importantly they are moving here because they are looking for a community – a place with sidewalks and front porches, where neighbors know one another. And given our proximity to Nashville, a number of those folks are trying to make it in the music business or the arts. So we got this wild idea: What if we were to try to make a connection between the kids of our community (most of whom get minimal art and music instruction in the public schools) with the creatives in the community who could offer some insights about the act of creation? What would it mean to help kids think about The Creator, and our calling to be co-creators through experiencing the arts, music, and the environment? Would it be possible to invite and include our artistic neighbors, many of whom aren’t really connected to organized religion, to join us in providing an experienced for our local kids in which adults invested in them and in which they had a chance to experience church in a new way? Several months ago, I presented a bit of this vision for the program to our neighbors via Facebook, and invited them to join with some of my church members to dream about what might be possible. We were amazed to see a great deal of passion, and when I scheduled a meeting to talk about the possibility, there were as many community neighbors involved as church members. Those conversations evolved into VIVID, a summer experience for the kids of Old Hickory. 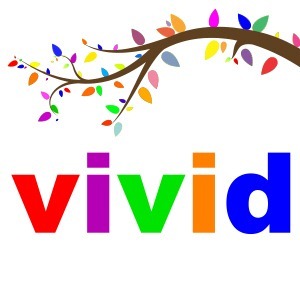 The VIVID program, which is officially co-sponsored by our congregation and the First Baptist Church down the street, consists of two 3-week sessions, which meets two days each week. Kids will sign up for a particular program focus for each of the sessions, choosing either to focus on the visual arts, music, or the environment. I won’t go into all the details here, but you can get a sense of what’s going on at www.vividcamp.org. What’s most exciting for our congregation which can at times be inwardly focused is the building of new relationships in the community. Certainly it’s true that we are meeting new kids and their parents, which is great, but we are also developing friendships with a variety of artists and musicians – some Christian and some not – who are experiencing a church that is proclaiming that art and beauty matter, and is to be valued and celebrated. One of the challenges for a financially strapped congregation like ours is to not let the language of scarcity overwhelm us. To offer the program at the level we are attempting will cost (including meals and snacks) around $8,000 for the entire summer (and that is with a mostly volunteer organization). Our church simply doesn’t have that in the budget, so we determined to find creative ways to fund the program. While we are charging a small program fee for kids (knowing that some families will find this to be a deal) we have committed ourselves to raising enough scholarship money so that no child or family will be turned away due to finances. We also have leaned heavily on the businesses of our community, and asked our neighbors to help fund the program, as well as sponsoring a couple of art related fundraisers for adults. We have raised several thousand dollars so far, and money keeps coming in. As of yesterday we had just over 40 kids signed up for the first session, and anticipate that we will reach our maximum of 50 by kickoff time next week. We are still working to fill out our volunteer positions, but I am confident that when kids start showing up on the 12th, they will find all sorts of adults and older teens ready to offer God’s love. I am both pumped about what God is doing, and at the same moment terrified, for this little idea we had had mushroomed into something pretty massive. That is, in my mind at least, a sign that the Holy Spirit is with us. God is blessing our intentions and efforts to offer love, but as is normal with God’s Spirit we are also being pushed to the edge of our comfort zone, being challenged to grow even more in our dependency on God’s provisions. The opportunity for success is great, as is the opportunity for total failure – and God sits back and asks if we’re REALLY ready to trust that he’s got our back. Our church is a church with challenges. We were pleased to add two new families to our membership, only to see three faithful saints go to be with God three months later. We know that we are likely facing the death of others soon, and the pressure to maintain is tough. But God is indeed at work. New things are happening. Love is being shared. And that gives me great hope for our future. Jay, thanks for the inspiration. Our rural community church is preparing for a town hall meeting on Wednesday to seek ways to share community with the community. It was pointed out at Admin Council last night that we do a great job at reaching out as individuals but we’re not so good at doing that as a group. I’m sending a link to this post to our leadership team to help get the conversation started. That is fantastic! In many of my posts lately I have pointed out the need for each church to know what its neighborhood/community is like and respond to those needs. This is a great example of utilizing what you have to help those in the community. It also illustrates the point that when you do the work of the Gospel first, the resources will be there. It is so good to read of a congregation working towards real community…outside the campus walls, in the real world! It is an example of affirming God’s love for each of us but also affirming that we all have value and it works both ways. Amen! Having worked in two inner city ministries with children for many years, it was refreshing to read your words around the “language of scarcity.” Ah, so good to see you don’t fall for that either! Matthew and Micah both must be applauding! Wish I lived in Old Hickory.